Tony Hadley Cuts the Ribbon at Chinnor Community Pavilion! 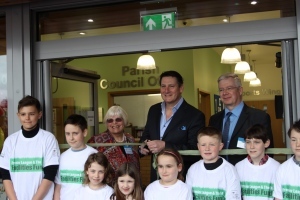 There was much excitement in evidence as the new Community Pavilion building in Chinnor was officially opened last Saturday by none other than Tony Hadley of Spandau Ballet and ‘I’m a Celebrity’ jungle fame! Tony cut the ribbon to mark the opening of the new community facility, which has bright function rooms, large changing facilities for the nearby playing pitches and also now accommodates the Parish Council office. 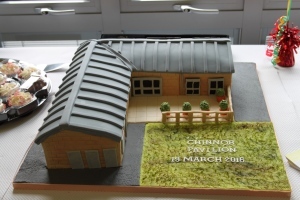 A local resident had made a most impressive celebratory cake model of the building which attracted a lot of attention from those in attendance. The opening event continued all day and into the evening, making full use of the new bar and kitchen facilities. The building was funded with the aid of South Oxfordshire District Council, the Football Foundation and Sport England. We are delighted this week to receive word that Aylesbury Vale District Council has granted both planning permission and listed building consent for a barn conversion project in the rural village of Ickford, Buckinghamshire. It’s thought that the red brick agricultural storage building dates back to the Victorian era. 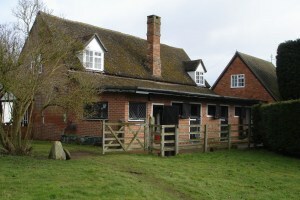 Various alterations have been made over the years, including the addition of stables to one elevation and the construction of a garage alongside. Our client sought permission to convert the barn, which is located both within a conservation area and also within the curtilage of a Grade II Listed house, into a 3-bedroom dwelling. Our design proposal went through a number of enhancements in order to comply with planning policy, and has now been given the green light for conversion. In addition to the bedrooms, two of which are on mezzanine floors, there will be a kitchen, dining area, study, living room and family bathroom. Our client is looking forward to starting construction works soon. This entry was posted in Listed building consent, planning permission, renovation on March 18, 2016 by admin. We have recently completed a building improvement project at Raynsford Academy in Henlow. Our changes incorporated a side extension to an existing classroom so that the Reception class could be relocated, leaving a large internal space available for the local village pre-school. 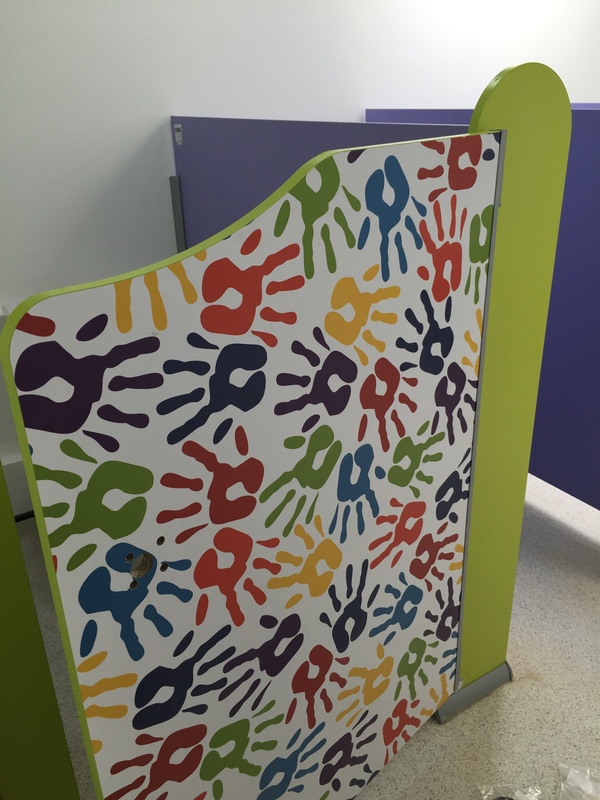 Our design also included reconfiguration of the central area to create separate WCs for the Reception class and Pre-School, with a shared group room. 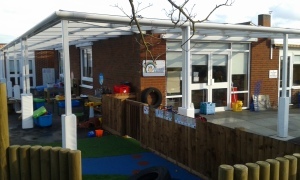 A large new external play canopy has been installed to wrap around the building serving the Reception class play area, and it also creates a covered entrance to the Pre-School. 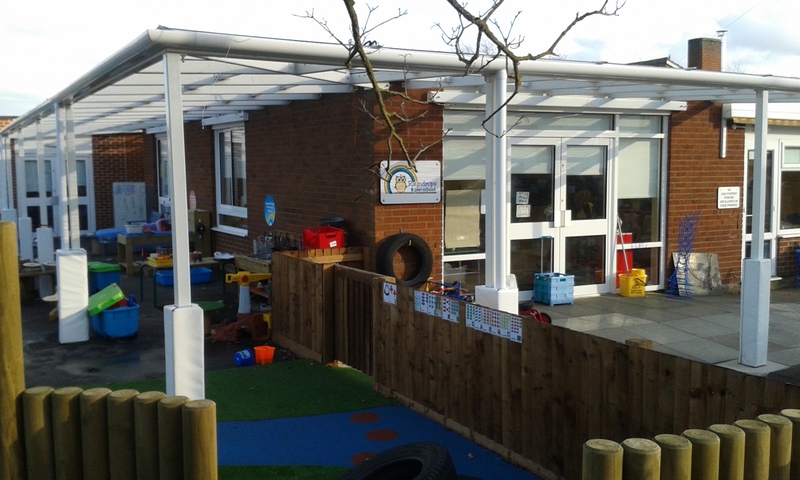 Formed from powder-coated steel posts and Perspex, play canopies such as these are becoming an essential feature of all primary schools so that the curriculum requirement to provide external play can still be followed in all weathers. Our design scheme has delivered additional space for the school with only a modest extension, by creatively re-designing the internal spaces and ancillary facilities. As part of the works, the existing car park was extended to create six additional parking spaces. 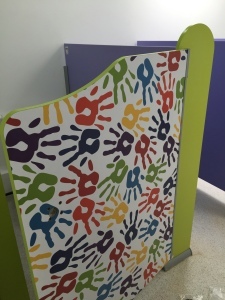 This entry was posted in Bedfordshire, Canopy, classroom, design, Early Year's, extension, Lower School, Pre-School, School Construction, school extension on March 15, 2016 by admin.